The information is well laid out, with prominent headings and titles. 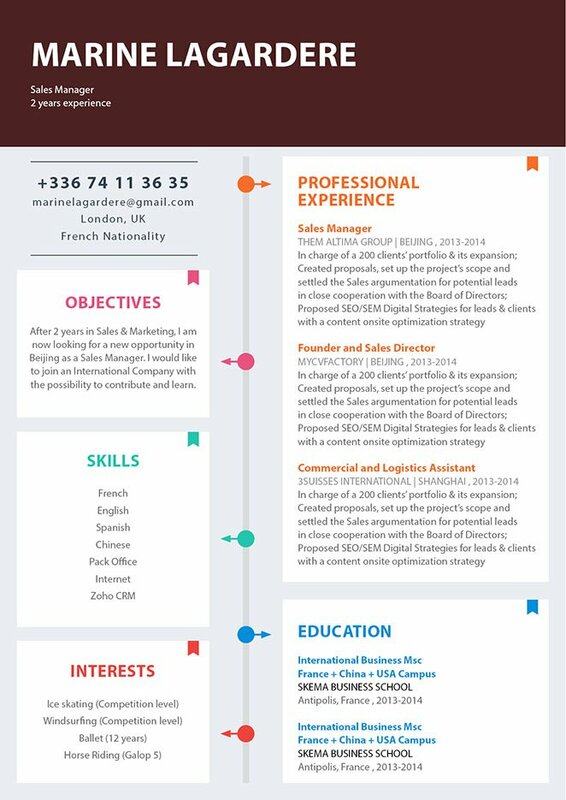 CV template to download "Tidy"
The Tidy resume will perfectly present all the essential information of your cover letter in clear and creative manner. It is well laid out and makes good use of headings and titles to bring emphasis to the key parts of your resume. 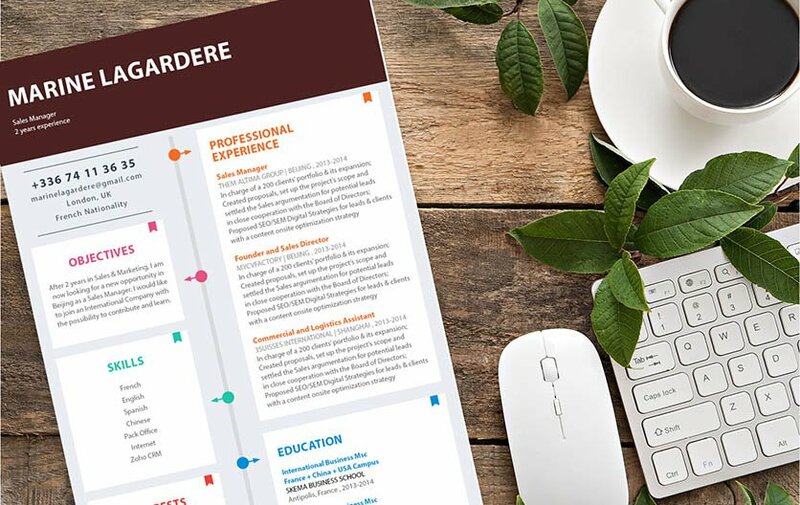 With its modern and creative design, this professional resume template is excellent for any type of job you’re applying to. Your potential employer will surely be impressed with this resume! One major feature that makes a resume so effective is its over-all lay out and format. A resume that is clean and simple to understand can give you a higher chance of getting that job since all the important information written on it is easily seen. But how to create such a resume ? Easy!—All sections of your resume should be short, but dense with information. In our modern digital age, people expect a style of writing that conveys a full idea in a short amount of text. To do this make each paragraph of your resume short, but substantive. Break complex information to smaller, bite-sized pieces no more than five lines long.